Reds Ceases Serving Swedish Pizza In Santa Monica. It was back in 2015 when I first told you about the buzzy arrival of Swedish pizza to the Santa Monica food scene. 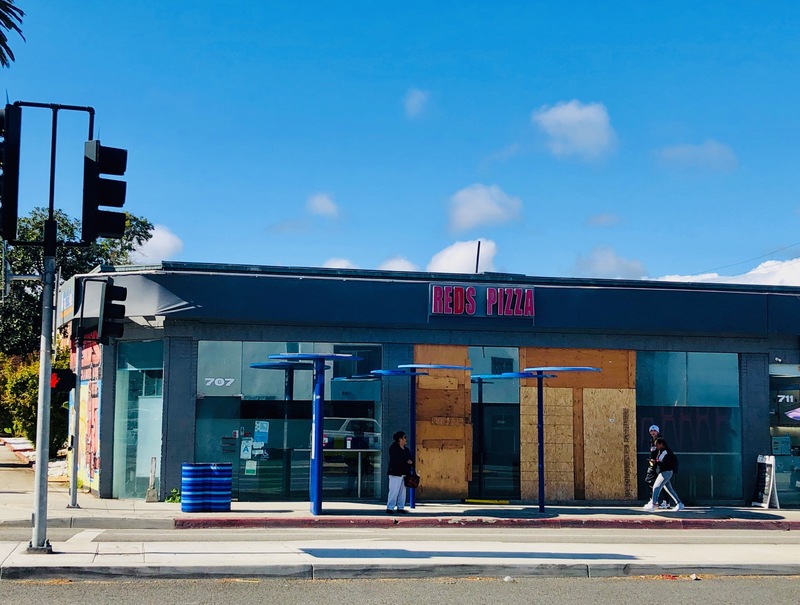 Reds Pizza has made a valiant four-year run of it at 707 Pico Blvd., but sadly it appears that they have thrown in the towel. I’m not quite sure when it happened, but the storefront is boarded over. There’s no clear indication of what may take over the space, but I’ll keep watching. This entry was posted in News and tagged Pico Blvd., Reds, Reds: A Swedish Pizza & Burger House, Santa Monica by toddrickallen. Bookmark the permalink. Thanks for the info Joshua! So they might in fact not be closed by the way.